How do we test and evaluate our valves [tubes] ?? Let me say from the outset that I am NOT a valve [tube] discounter. You cannot possibly sell valves at some of the prices I have seen on-line [on Ebay, for example] with any degree of quality-control. The mark-up just isn’t there to support or justify this. It is actually quite time-consuming to test and evaluate a batch of valves. However, I DO supply and install valves as part of my amp servicing business and also obviously with my own Richards amp custom-builds. I also supply some music shops with pre-tested and selected valves for their in-house repairs and customer sales, at prices which reflect the value-add, including quality-control and warranty. So, how do we carry out this testing and selection of valves ? Firstly, there are very few dedicated valve-testers on the market at all, let alone devices which will test valves at realistic voltages, and/or under load. 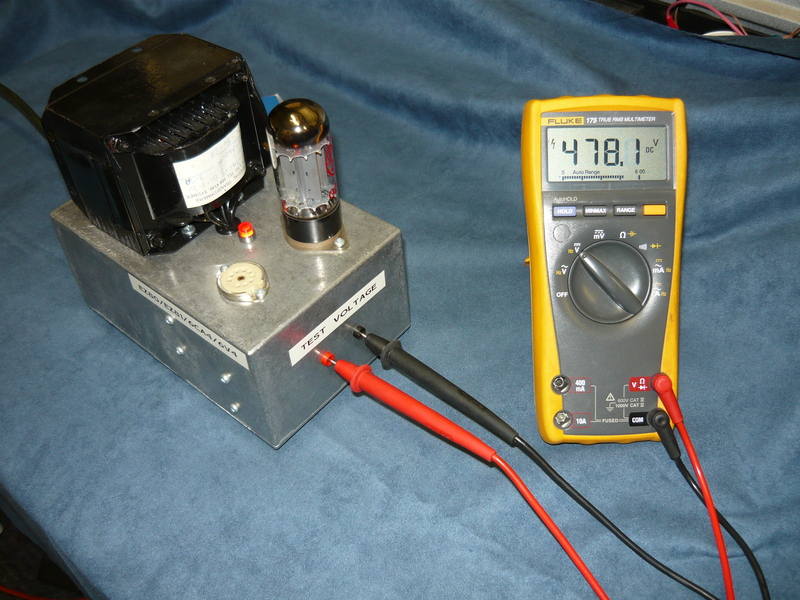 The older valve-testers which were primarily intended for testing Radio/TV valves applied relatively low voltages to the valves, which doesn’t help us much in the world of guitar amps, where voltages of between 300V and 500V DC are most common. So basically, I was forced to design and build my own valve test sets, to suit the purpose at hand. My most expensive test equipment acquisition (apart from the oscilloscope) is the VTV [Vacuum Tube Valley] Valve Characteriser, which tests and evaluates miniature 9-pin dual-triode preamp valves, including such common types as the 12AX7 [ECC83], 12AT7 [ECC81], and 12AU7 [ECC82]. Parameters under test include gain, noise and microphony, as well as the ability to select matched triodes. This device from VTV is no longer in production. 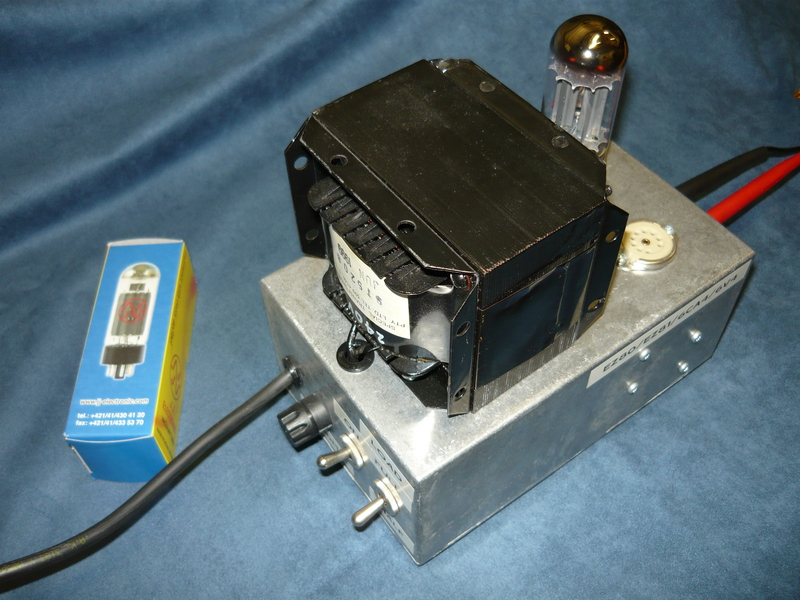 This is the device shown in the first two photo’s. 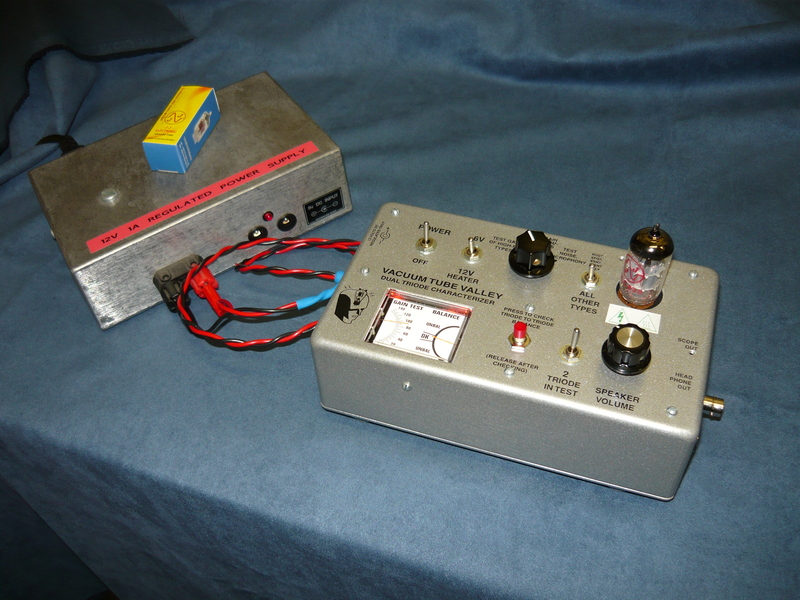 The other item shown in the third and fourth photo’s is an in-house, purpose-built rectifier valve tester, which tests both octal and miniature 9-pin rectifiers at high voltage, and under-load. Rectifier types include the commonly used 5Y3, 5U4 and 5AR4/GZ34 octal types, and the EZ81/6CA4 miniature 9-pin types, and also some more obscure types. As you can clearly see in the 3rd photo, this JJ-brand 5AR4/GZ34 is delivering 478V DC when lightly loaded. In addition to the above test gear, I also have purpose-built testers [not pictured] for the miniature 9-pin 6BQ5/EL84 power output valves, which tests the valves at a reasonably high 390V DC, and lastly a tester for octal valves including the familiar 6CA7/EL34/6V6/6L6/KT66/6550/KT88 types, which tests the valves at the commonly used 460V DC. You can see that these testers look pretty low-tech !! I basically used whatever transformers I had leftover from servicing that would supply sufficient voltage and current for the job. Well, that’s the BLOG for this week, hopefully we will have something different and interesting to talk about next week. Please visit us again on a regular basis ! This entry was posted on June 4, 2011 at 10:21 am and is filed under Amp Repair, Amps. You can follow any responses to this entry through the RSS 2.0 feed. You can leave a response, or trackback from your own site. HAVE YOU GOT CIRCUIT FOR VAVLE TESTER IF SO COULD SEND ME A COPY. Hey Bob: I built my output valve testers out of components I had in stock, so the transformers were Australian-made for 240V mains; take a look at the priceless amp restoration website http://www.priceamp.com for schematics of preamp and output valve testers appropriate to USA practice; please comply with electrical safety rules and practices at all times !! 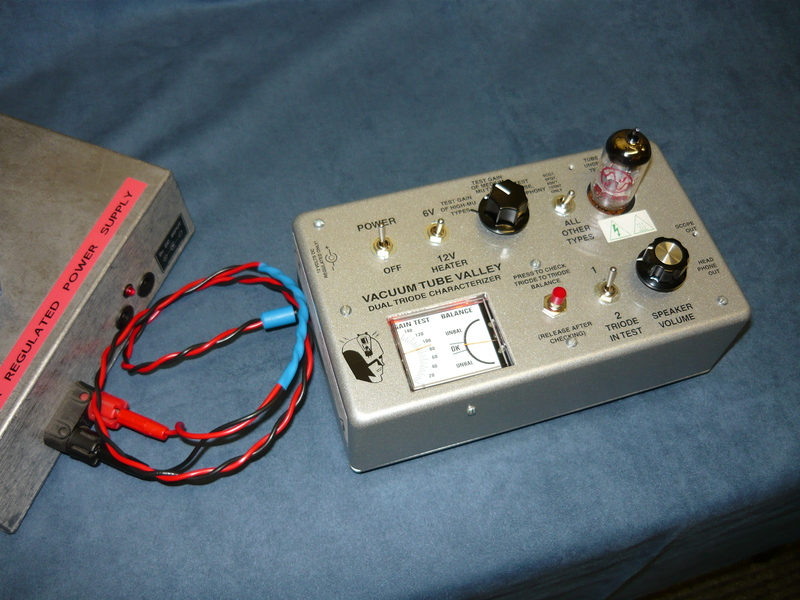 please note the output valve tester design requires stopper resistors on both screen grids and control grids, otherwise instability will occur; re the VTV 12AX7 Valve Characteriser, you may be able to pick up one on the used market, but unfortunately Charles Kittleson has passed on and Vacuum Tube Valley have ceased trading; regards, IR.